I really can't believe it's already October! As tough as this year has been for me it has been going by so fast. Today I wanted to share with you all one of my go to recipes. 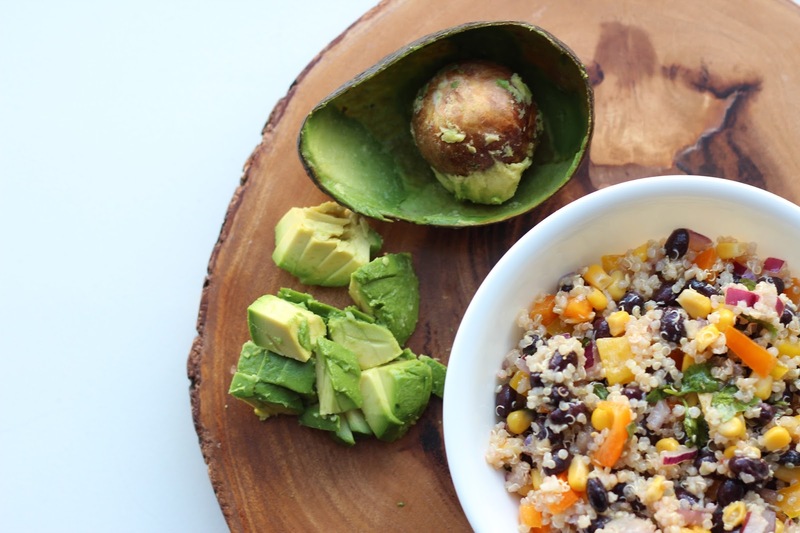 Quinoa has been a staple in my diet for the last few years and this Southwest Quinoa salad recipe is something I make all the time. It is so quick and easy to make. It also is so filling just on its own. I started eating Quinoa few years ago when I learned that wheat and I don't go together. Being a vegetarian I couldn't just cut out wheat and only eat vegetables because of my sugar levels and other health complications so I found quinoa to be a good replacement and the right amount of protein I needed. There are other benefits to Quinoa that drew me to it. It has iron, B-vitamins, fibre and contains essential amino acids. So I began to find ways to incorporate it into my daily routine and normally eat it after my morning yoga. In fact I love quinoa so much that I even found a way to include it in my thanksgiving dinner last year! I hope you enjoy this recipe as much as I do. Its refreshing, zesty, and filling! This salad looks yummy! Specially because it has avocado in it :) I think this would be great for lunch! I've never had eaten quinoa, but I'm a big fan of avocado. So this is a must try in the kitchen. Thanks for sharing and i'll love your styling in the pictures. This looks wonderful! I'm a massive quinoa fan and love how nutritionally packed it is. i make something similar with quinoa and will last me 2-3 days. love all that avocado. 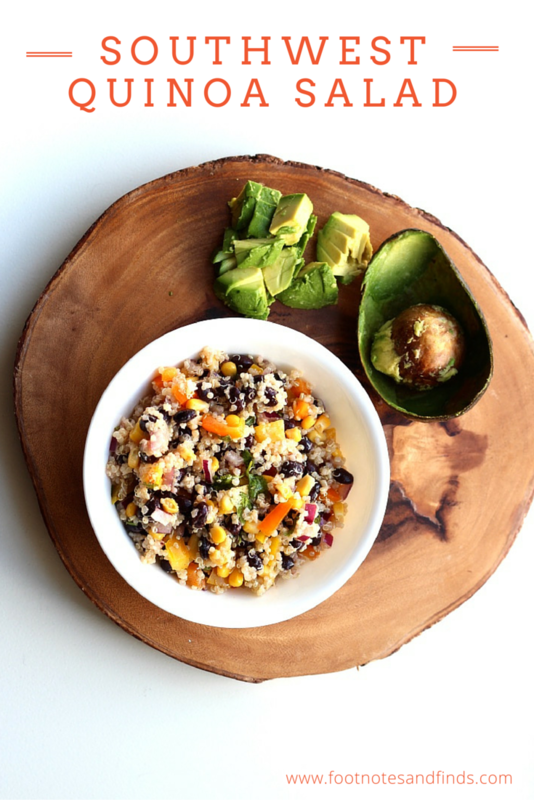 I've been toying with quinoa quite a bit lately and always looking for new recipes. I love most things southwestern or Tex-Mex inspired. Great combination of flavors! It sounds like something that I would make, being that it is vegan and gluten free! I've been trying to add more quinoa to my diet and this recipe looks tasty! I love the addition of avocado. This looks yummy. Must make this. I make something similar but yours looks even better! Excited to try this! Pinning it! Wow, that looks delicious. 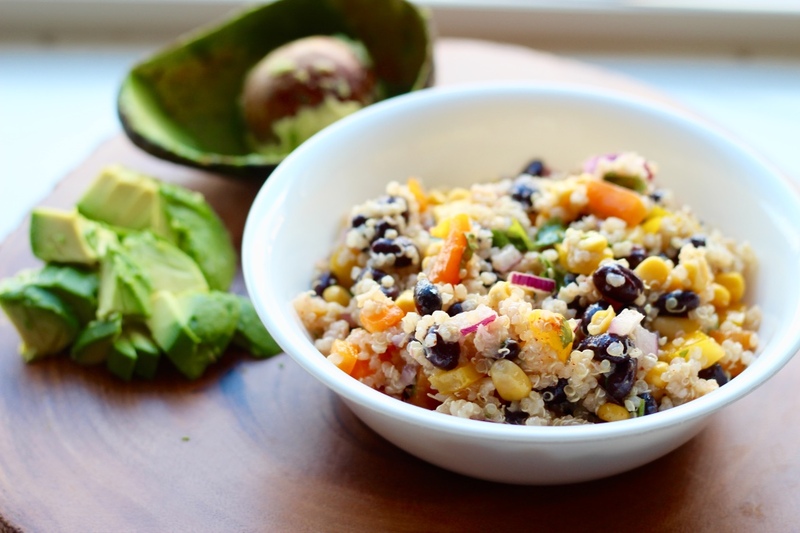 I love southwest recipes, and I recently started adding quinoa to my diet! Oh, this looks so delicious!! I really love the taste and texture of quinoa.